﻿ 20 ANNI DI SUCCESSI ! 20 ANNI DI SUCCESSI ! 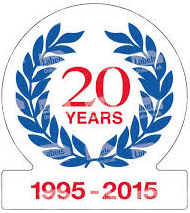 All of Cosvic staff wants to thanks his Customers and Suppliers for this 20 years spent together. New years and new challenges are waiting, the experience grows.